- is the first pantomime theatre in the history of theatrical arts of Azerbaijan Republic. Despite of novelty of this theatrical form in Azerbaijan, the admirers of the theatrical art have understood and accepted a pantomime. The main advantage of a pantomime is in internationality of its language. There are no boundaries for it. "Hope" (S.Beckett) - "Expression for one actor"
"Ceramist" (U.Gadjibekov ) - a pantomime. "Tip mothes" (B.Khani-Zadeh) - a pantomime. ?Тhe love? (B.Khani-Zadeh, On Shakespeare's sonnets) ? a pantomime. ?Little prince? (Antuan De Sent Eqsupery) ? a tale-performance. ?The Mask? (Zaur Zeynalov) ? a pantomime. ?Shadow? (B.Khani-Zadeh) - a pantomime. ?Photo spring? (O.Arabul) - performance. ( ?Dada Gorgud-1300? ), in Turkey (Ankara, 4th Theatre Festivals, November 18-28, 1999), in Bulgaria (Sofia, Summer Academy of Performing Arts ? Bodies and Time?, ?Fildenkrayz method?, ? White buto? seminars, July 18 - August 4, 2000), in Georgia (Tbilisi,17 September-8 October, 2000, ?Golden Mask? International Theatre Festival), in Iran (Tehran, November 4-10, 2001 International Festival of a Pantomime), in Germany (Potsdam 17-23 June, 2001, in ?Unidrama? Festival, ? Dreams of XXI century? in international project St. Petersburg culture centre of under the play of Arthur Shnichler "Coverlet of Pyererti), in Turkey (7-17 November, 2001.6-th Theatre Festivals in Ankara), in Iran (Tehran March 3-10, 2002"Friendship? theatre festival), in Russia (Irkutsk, 30August-8 September, 2002. "Mimolyot" 6-th International festival of a pantomime and modern plastics), in Turkey (17 - 27 October, 2002"ETHOS" the International festival), in Holland ( Amsterdam,9 - 15 December, 2002 " Oud west-thuis best " Intercultural festival), in Austria, (Vienna, 10 - 14 April, 2003, in the project of" Travel to the world of our dream ") , in Ukraine, (Kiev, 7-14 May, 2003, ? Kiev-Travnevi? 5-th International Festival, in Tatarstan (Kazan, 30 May ? 6 June, 2005, ?Novruz? Theatre Festival of Turkish nations), in Egypt (Cairo, 20-30 September, 2005 the 17th International theatre festival), in Turkey (Trabzon,1-13 May, 2006, 7th International Black Sea Theatre Festival), in Austria (Vienna, 9-15 April, 2007), in Russia (Moscow, 17-19 April, 2007, ?Azerbaijan Culture days? ), in Finland (Imatra, 14-17 June, 2007 ? White and Black? International Theatre Festival), in Russia (Moscow, 9-11 October, 2007, International Festival of Bible figure), in Saudi Arabia ( Ar-Riyadh, Dammam, Jiddah, 10-14 November, 2007 ?Azerbaijan Culture Days? ), in France ( Paris, 23-25 May, 2008, UNESCO ?Leyli and Majnun? ), in German (Berlin, 13-19 June 2008, The year of Azerbaijan Culture), in Egypt (Cairo, 10-20 October 2008, 20th International Festival ofexperimental theatres). In Georgia (Tbilisi, 16-19 June 2009, ?The Days of Azerbaijan Culture? ), in Switzerland (Bazel, Uster, Dornach 25 November ? 5 December 2009, ?The Days of Azerbaijan Culture? ), in international theatre festivals, in transmissions of the Azerbaijan television and wireless. 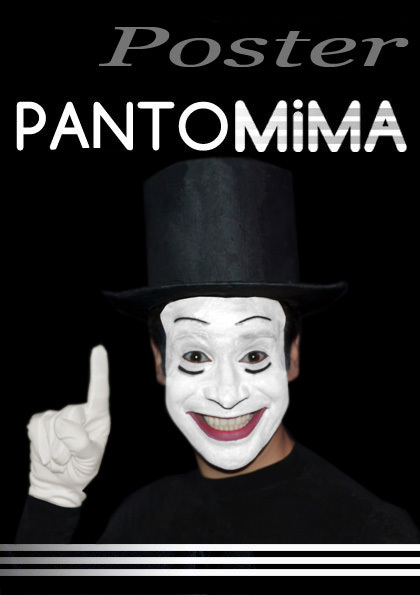 Theatre - studio of a pantomime has given the state status in March 6, 2000.